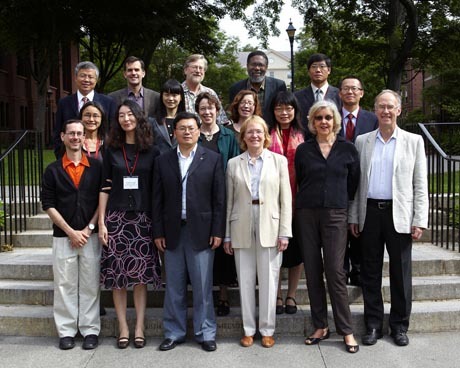 Brown University’s initiative to strengthen its international programs includes an exciting research partnership between the Pembroke Center for Teaching and Research on Women, the East Asian Studies Department, and the Cogut Center for the Humanities at Brown with the Institute for Advanced Studies in the Humanities and Social Science at Nanjing University. The Institute for Advanced Studies is well matched as a partner to the Brown programs because it aims to break through traditional disciplinary constraints and to make intellectual connections across linguistic and cultural barriers. 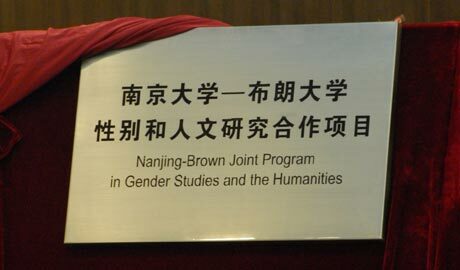 The purpose of the “Joint Program in Gender Studies and the Humanities” is to bring outstanding scholars from Nanjing University into dialogue with scholars here at Brown about the global future of gender, feminist studies, and the humanities. With an ambitious schedule of faculty and student exchanges and an exciting series of publications, the Nanjing-Brown Program promises to build vital connections between our institutions and foster rigorous and imaginative global critical thinking.